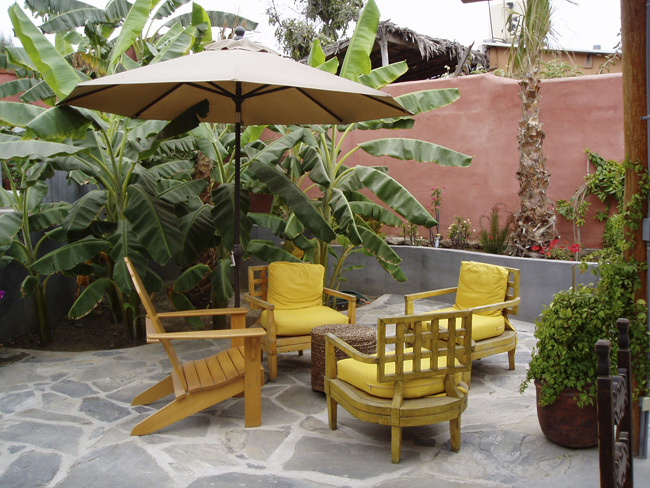 When a long time friend, after having made many visits to Todos Santos decided to make the commitment and do a second home for herself and her son, the important requirement was to be as close in to the center of the village as possible in order to walk to events and restaurants rather than drive. 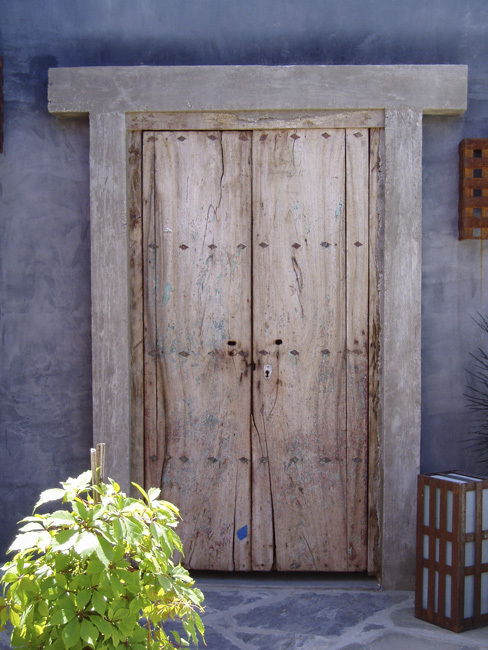 A long narrow site was found tucked in off an alley almost next to her sister’s house, who had been living in Todos Santos for a few years. For the distribution of the project, I placed the public pavilion nearest the entry where the kitchen and living areas are and attached a bedroom and bath. To the rear boundary of the lot I placed the owner’s master suite in a separate building, with the separation of space between the two structures used for garden and an outdoor dining area, which turns out to be the most populated square footage of the living environment. 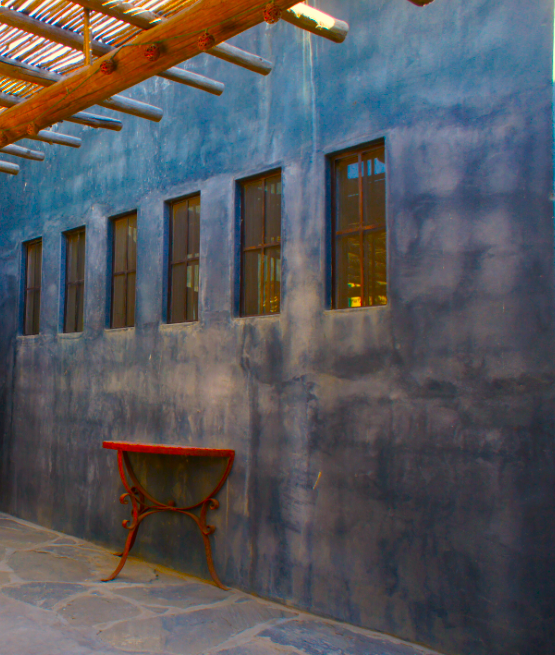 Our climate in Todos Santos invites living outdoors all year long, so I always develop connected inside/outside space in a residential design.